Pennsylvania’s range of hardiness zones make the state ideal for growing a variety of fruit trees that attract deer. 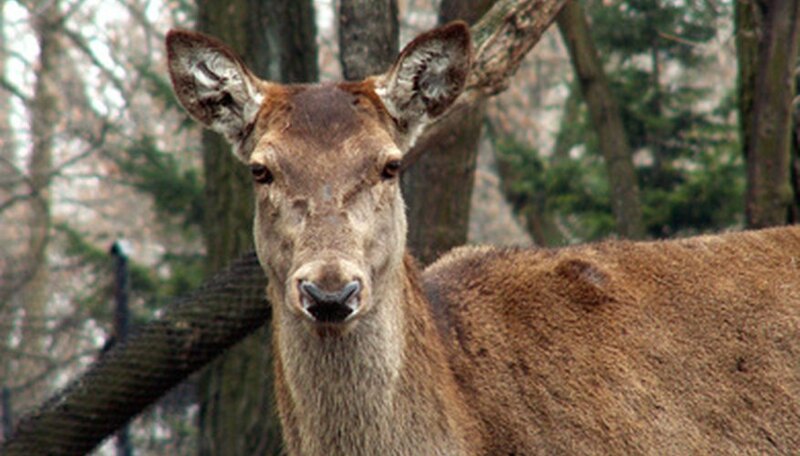 A deer’s strong sense of smell helps it find ripe fruit still on the tree or on the ground, but deer also like to nibble new spring growth on fruit trees. Provide new trees with protection from foraging until the trees establish themselves. For best results in attracting deer, consider growing small groves of the fruit trees deer love most. Deer seem fairly unpicky when it comes to eating apples, making almost any apple tree a good one to plant to attract the ungulates. Thousands of varieties of apple trees give Pennsylvania gardeners plenty of choices. Consider planting a mix of early-maturing apples such as Empire or Ginger Gold to feed deer early in the season, as well as later-maturing apples such as Golden Delicious or Rome. Plant at least two apple trees since the trees require another tree to cross-pollinate and set fruit. Apple trees grow in hardiness zones 4 to 9, requiring full sun and slightly acidic soil that’s well-drained. Fruit starts appearing on the trees two to three years after planting. To avoid the late spring frosts that are common in Pennsylvania, plant apple trees away from buildings, preferably on mounds or hills, to avoid cold air pockets. Crabapples are another favorite of deer, with more than 1,000 known varieties. The difference between an apple and a crabapple is based on the size of the fruit. Apples less than 2 inches in diameter get classified as crabapples. One variety that grows sizable fruit includes Dolgo, with fruits measuring 1 1/2 inches in diameter. Deer eat any size crabapple when the fruit matures in the summer and early fall. While most crabapples appear dark red, some trees produce orange or yellow fruit. Many of the varieties keep fruit on the trees well into winter. Crabapples grow in hardiness zones 4 to 8, requiring full sun and well-drained, slightly acidic soil. Another favorite deer food that’s easy to grow in Pennsylvania is persimmons. Originating in China where the trees grow wild, persimmons were introduced to the United States in the mid 1800s. Today’s gardener gets to choose from dozens of cultivars that produce astringent or nonastringent fruit. The bright red fruits mature on the tree once the leaves fall off, with astringent fruits becoming edible when they turn into an almost jelly-like mass. Nonastringent persimmons, however, become edible as soon as they get crispy. Both types of trees thrive in hardiness zones 4 to 10. Persimmon trees grow in almost any soil type, as long as it drains well.